St Petersburg Palaces are impressive buildings with equally rich and varied interiors, as well as a unique architectural style that goes from Rococo to Russian Revival. A visit to one of the many stunning St Petersburg Palaces is like travelling back into the Imperial past of this Russian city’s famous aristocratic families. Visiting these Royal Palaces is sure to be one of the best parts of your visit to the Northern Capital. From Baroque architectural style to Russian Revival design, all of the palaces in St Petersburg demonstrate the might of the Romanov dynasty through the sheer luxury of the Tsars' residences. Designed by foreign architects and built on the grand scale by Russian craftsmen, most of the Imperial Palaces are famous worldwide for being impressive, elegant, expensive and magnificently decorated. 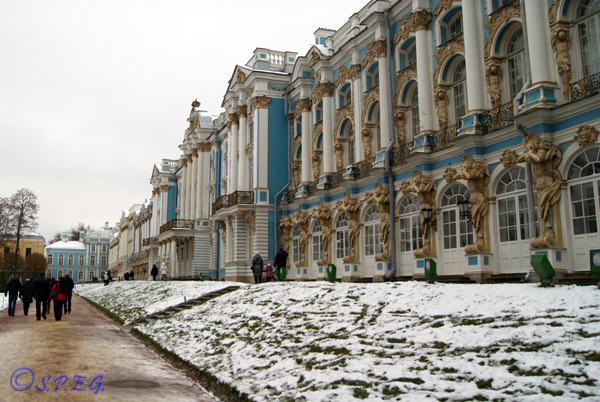 However, many of the palaces built in the city suffered greatly during the Bolshevik revolution and the Siege of Leningrad; all of the buildings, except Oranienbaum Palace, lay within Nazi-occupied territory. But since then, there has been a massive effort to restore them to their former glory. Today, we can say that most of the St Petersburg Palaces are at their very best and are open to the public, apart from a few exceptions. Some are open as formal homes or as museums of art, and history, others as venues for occasional musical concerts or cultural events. If you plan to visit one of these remarkable buildings, and you should, remember that magnificent architectural collections often hide behind old, unbelievably ugly structures. 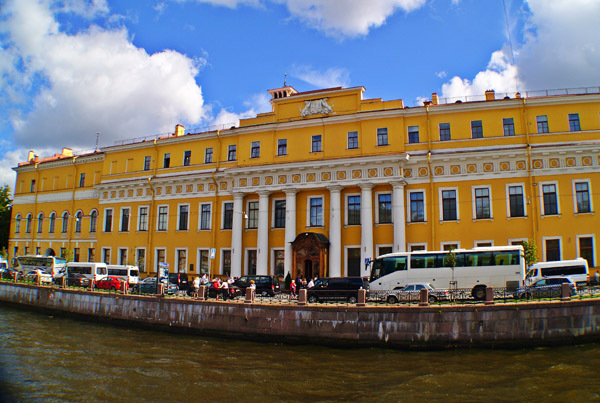 The architectural heritage reconciles the very different Baroque and pure Neoclassical styles, as can be seen in the Admiralty, the Winter Palace, the Marble Palace and the Hermitage. There are so many beautiful St Petersburg Palaces to visit (about 100), but you don't need to see them all. So, for now, let's just learn about the most interesting and famous ones. See below our picking list. The Winter Palace, the first grand imperial residence in St Petersburg Russia, is home to the Hermitage, the biggest museum in the world. Once the official residence of the Russian Tsars, today it is one of the most famous and visited attractions in the city. As the palace is so big, if you look at a sculpture for a few minutes, it would take a few years to finish the whole museum. 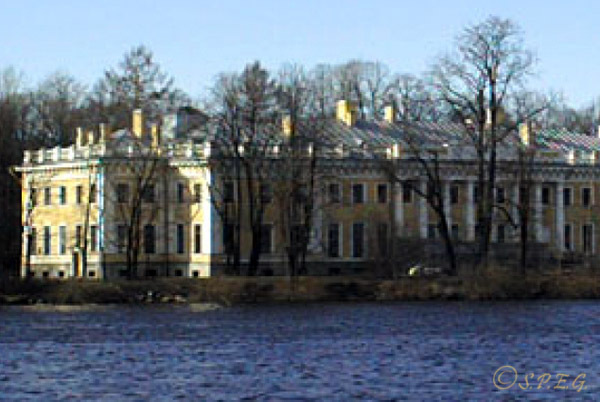 Built for Peter I, and largely restored since the devastation of WWII, the Summer Palace was erected in the corner of the famous Summer Gardens in 1710 and served as summer residence for the Tsar. 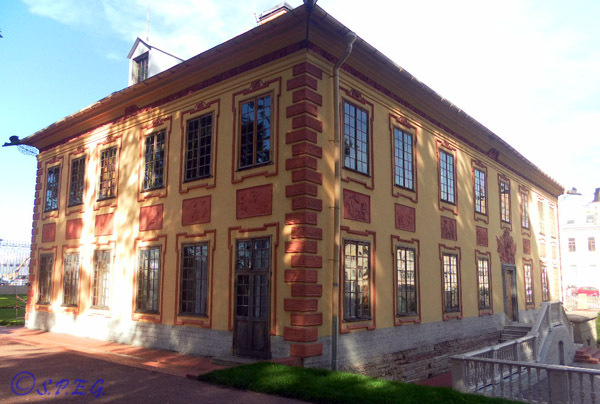 With its 16 rooms finished with carved wood and Dutch tiles as well as attractive ceiling paintings, this building is pretty modest, compared to other St Petersburg palaces. Mostly known as the Russian Museum, the Micheal Palace (Mikhailovsky Palace) is one of the most wonderful Russian Empire style buildings in the city, as well as the best example of palace architecture in the final years of the neoclassical era. Here you can find the best examples of Russian fine arts from ancient icons to 20th century paintings and artifacts. Designed by the architect Antonio Rinaldi, the Marble Palace takes its name from its opulent design where over thirty-two different types of marble were used to decorate the building's facades and interiors. Considered one of the first Neoclassical St Petersburg palaces to be erected, today the Marble Palace is a part of the Russian Museum. Built for the wealthy Yusupov family on the Moika River, the Yusupov Palace is one of the best examples of the baroque style in the city. Famous for being the place where Grigory Rasputin was killed, here you can admire a great collection of documents, photographs and authentic objects about the aristocratic Yusupov family and their advisor Rasputin. 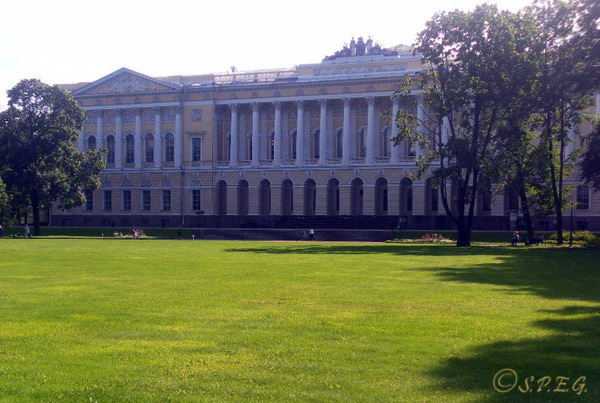 Built in 1710, the Menshikov Palace was once the residence of Saint Petersburg Governor-General Alexander Menshikov. 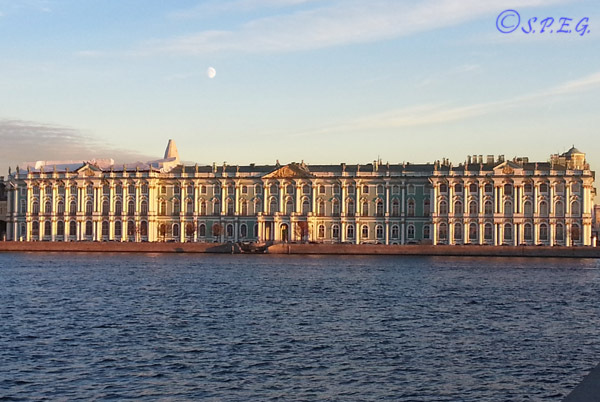 Today, it is one of the oldest St Petersburg palaces and a branch of the Hermitage Museum. Being the first big building made of stone in Saint Petersburg, as well as a museum full of history, this is an interesting place to visit. 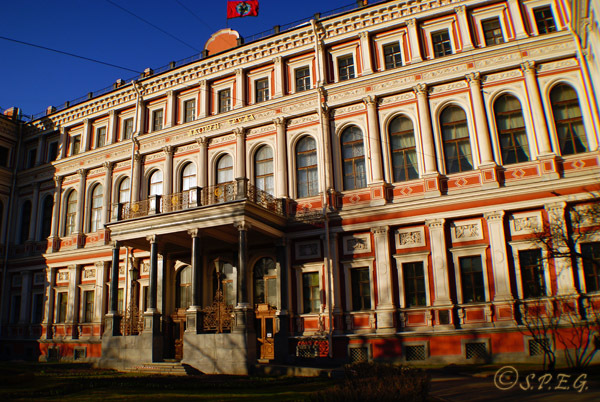 Standing on the bank of the Fontanka River, a few steps from Nevsky Prospekt, the Sheremetev Palace was the place where the wealthy Sheremetyev family lived until the Bolshevik revolution in 1917. 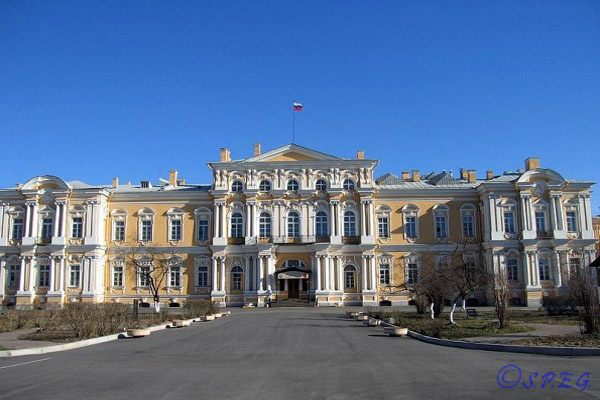 Today this elegant Baroque palace displays the private art collection of the Sheremetyev family and is home to the Museum of Musical Instruments. 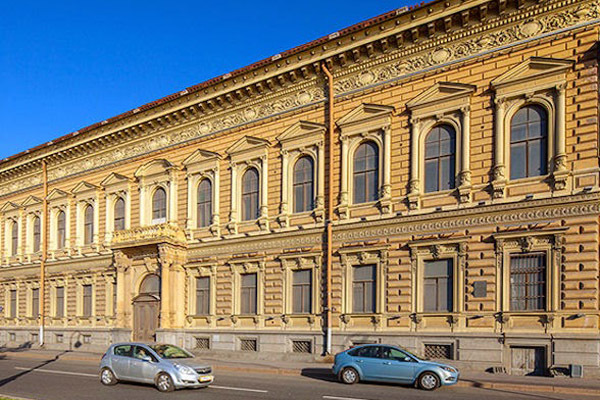 The Stroganov Palace is an example of Baroque style and, like many other St Petersburg palaces, it is now a museum exposing the life of one of the many Russian noble families, who lived here for two centuries. Restored in 2003, this remarkable Palace is one of the oldest and finest of the aristocratic residences in St Petersburg, Russia. 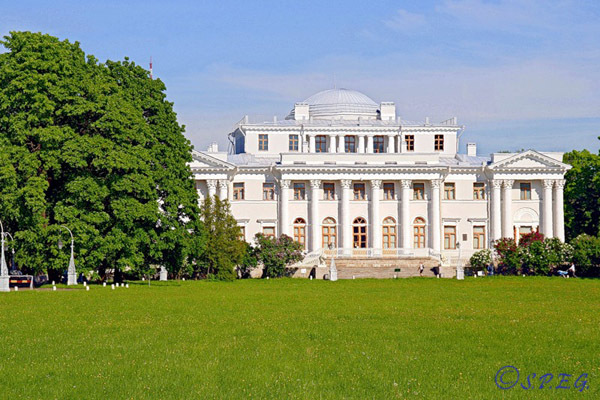 Located in Tsarskoye Selo - former country residence of Russian emperors - the Catherine Palace is a fascinating place of the world's architectural and gardening arts of the XVIII-XIX centuries. 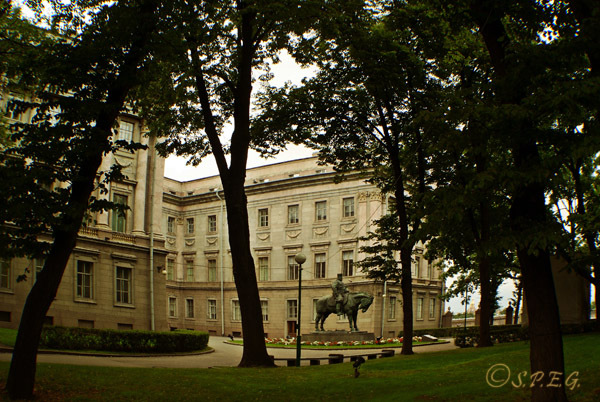 The Palace displays a unique collection of 20.000 items, such as porcelain, decorative objects, furniture, Russian and West-European paintings, amber, sculptures, and much more. Better Known as Peterhof, the Grand Palace is an outstanding example of greatness of Peter I, as well as one of the most beautiful and famous palaces in the world. Entirely reconstructed after World War Two, this lavish building along with its famous gardens will bring Versailles to your mind. A visit here is really a must for first time travellers. 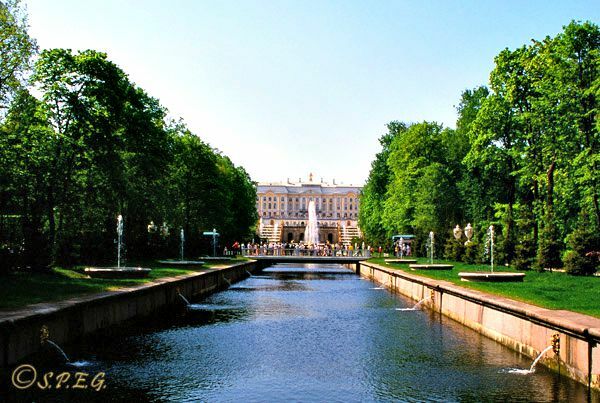 The Yelagin Palace is one of the nicest but least known St Petersburg palaces of the Russian Empire. Situated on the popular Yelagin Island on the northern outskirts of the city, its empire style interiors and its location brings to mind the French Malmaison or the Swedish Rosendal. Nearby the palace you can find a vast open green area where you can take a stroll, relax or have fun with kids. The Beloselskiy-Belozerskiy Palace is another gorgeous Russian Neo-Baroque building that faces the famous avenue Nevsky Prospekt. 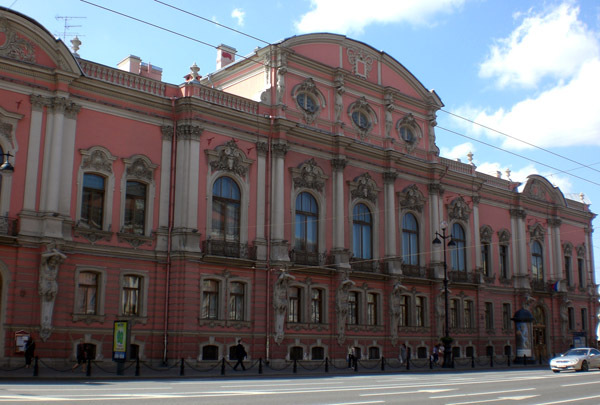 Once belonging to the prince Sergei Alexandrovich, and then used to serve as the Communist Party's district headquarters, now the building is home to a Municipal Cultural Center and is open to the public only for the concerts and private guided tours. Standing not far from St. Isaac's Cathedral on Truda Square, the Nikolaevskiy Palace was one of the last royal St Petersburg palaces to be built for the Tsar family belonging to Emperor Nicholas I. Today the building has become a popular Russian restaurant, where you can enjoy a four course meal and see a great Russian folk show "Feel Yourself Russian!" in the evening. 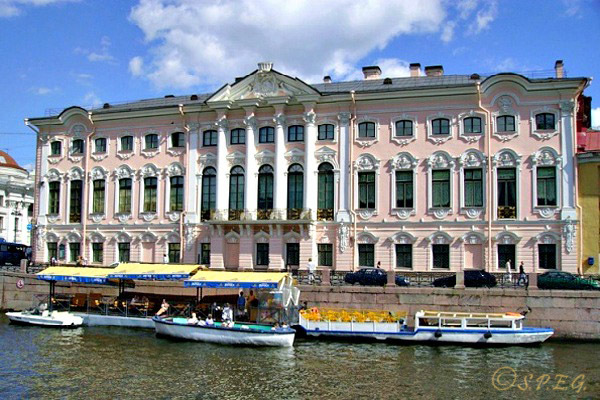 Situated on the banks of the Neva River, the palace of the Grand Duke Vladimir Alexandrovich is an architectural monument of eclecticism and one of the finest and last preserved residences of the Russian imperial family in the city of St Petersbug. To visit this building, you will need to arrange a private excursion in a group of at least 25 people as the palace is now a center of cultural and social life. The Tauride Palace is one of the best examples of pure Russian architecture and one of the most impressive St Petersburg palaces. 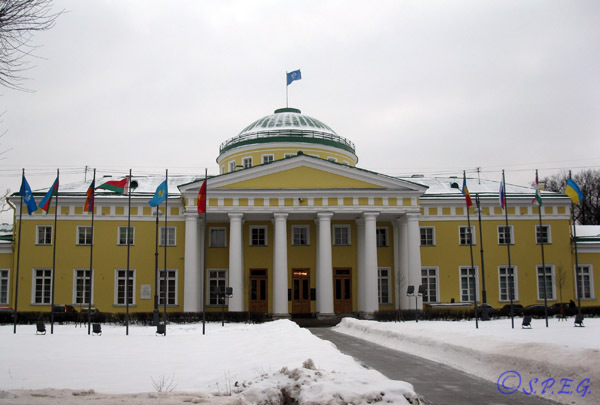 Located in the north-east of the historic center, in the large Tauride Garden, it was built as a present to Field Marshal Grigory Potyomkin.Today is the headquarters for the Internal Parliamentary Assembly of the Commonwealth of Independent States and it is not open for sightseeing. Known for its central position opposite Gostiny Dvor on Sadovaya Street, the Vorontsov Palace is a beautiful baroque building built between the 1749 and 1757 by the famous Italian architect Francesco Bartolomeo Rastrelli. 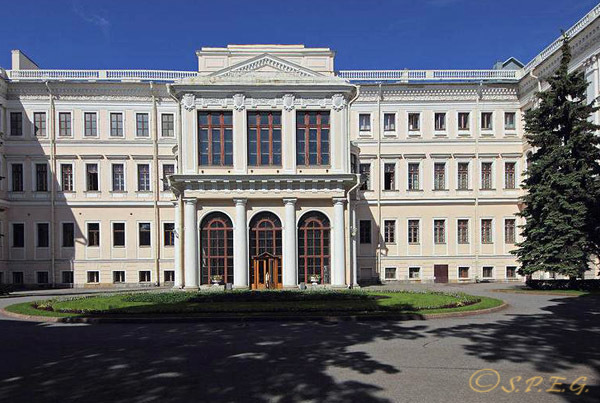 Since 1955 it has been occupied by the Suvorov Military School for boys aged 14-18 years old. 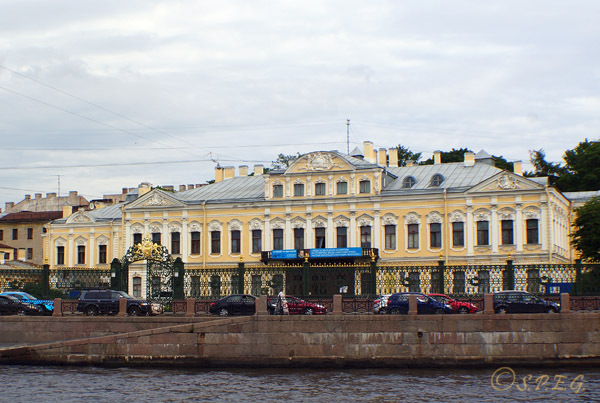 Unfortunately, as a few other St Petersburg palaces it is not open to the public. Located in the north-west of St Petersburg Russia on Kamenny Island (Stone Island), the Kamenny Palace, a Neo-Classical building, is the official residence of the Governor of St Petersburg and is not open to the public. But, what makes this place worth a visit is not the palace, although it is an interesting one, but the island itself: a wonderful natural open space where you can relax and take a tranquil stroll. 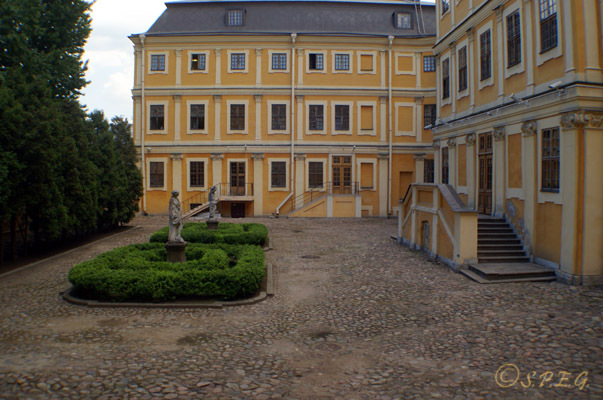 Would you like to visit one of the royal palaces listed on this page?